Lowry Park Zoo: Dad’s receive free admission on Saturday, June 16 or Sunday, June 17 with a purchase of their son’s or daughter’s full-priced admission ticket. Father’s Day Dinner Cruise: Give Dad a break from the grill this Father&apos;s Day, June 17, with a hearty brunch or dinner cruise. Treat him to the best views in town on one of Tampa bay’s Premier Dining Yachts, the StarShip. Buy 3 tickets, and Dad is free for the first 50 Dads. This promotion is a limited time offer based on availability, so don&apos;t miss out. 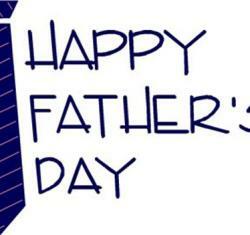 Glazer’s Children Museum’s Father’s Day Fest: A father’s day event where dads aren’t allowed! The museum is turning their Greenberg Traurig Art Lab into a secret creation zone on June 16 from 11 am-4 pm, so children can make special gifts for their fathers or special ones. For more information on Tampa, check out visittampabay.com, and let us know where you plan to spend Father&apos;s day!